This summer (2013) Lithuania are the hosts of a major international youth basketball tournament, the FIBA U19 World Championship for Women. 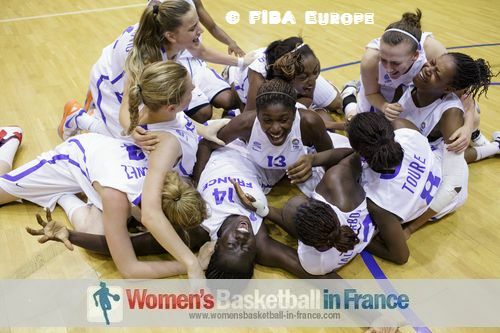 France qualified for this competition by winning the 2012 FIBA Europe U18 European Championship for Women. Cathy Melain and Grégory Morata. Fournier decided to call up 12 players for his first training camp. The players chosen come from LFB youth academies, from the CFBB, second and third division teams. During the five-day training camp in Bourges the players will be assessed on their suitability to be included in the official U19 training roster for the second part of the preparation starting at the end of May. Part of the final preparation will see France take part in Rezé Basket International (RBI) youth basketball tournament from 6 until 9 June 2013. This squad of players will also represent France at the Mediterranean Games in Mersin, Turkey from 16 until 25 June 2013. 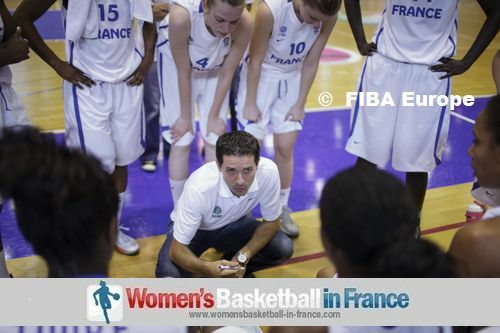 Other tournaments may be added to their schedule before the team heads off to the FIBA U19 World Championship that runs from 18 until 28 July 2013 in which France have been drawn for Group C.
The 12 players selected for this camp are: Pauline Betis (1.70, 1994, USO Mondeville), Imane Brahmi (1.85, 1994, Rennes), Natty Chambertin (1.84, 1994, Aix-en-Provence), Coralie Desprez (1.70, 1994, Dunkerque Malo), Elise Fagnez (1.98, 1995, CFBB), Lisa Faurez (1.87, 1994, Dunkerque Malo), Mathilde Geisser (1.92, 1994, Bourges), Lisa Lefevre (1.68, 1994, Aix-en-Provence), Eva Marsac (1.83, 1994, Limoges), Marie-Eve Paget (1.70, 1994, Cavigal Nice), Angelina Turmel (1.97, 1996, CFBB), Amélie Voinet (1.83, 1994, Illkirch-Graffenstaden).